EDMONTON - Alberta's opposition Wildrose caucus is expected to meet Tuesday to discuss merging with Premier Jim Prentice's Progressive Conservatives, sources have told The Canadian Press. If merger talks fail, there may be four or more defections to the Tory team, said one source. Wildrose Leader Danielle Smith and house leader Rob Anderson could not be reached for comment late Monday. Earlier Monday, Prentice was asked by reporters if he knew of any impending Wildrose floor crossings. "There are always discussions amongst people that I'm not a part of," said Prentice. "As I've said in the past, I welcome all conservatives as part of this government." The Wildrose saw two MLAs quit to join Prentice three weeks ago. Kerry Towle, the MLA for Innisfail-Sylvan Lake, and Ian Donovan, the member for Little Bow, said they had grown disillusioned with the Wildrose and liked the direction of the province under Prentice. Another Wildrose member, Joe Anglin, quit in early November ahead of a caucus vote to oust him for, among other things, secretly taping caucus meetings. Anglin has denied this and Smith has never provided evidence. The three departures left the Wildrose with 14 members compared with 63 for the Tories. The party is rural based, particularly in the south, with just two MLAs in Calgary and none in Edmonton. 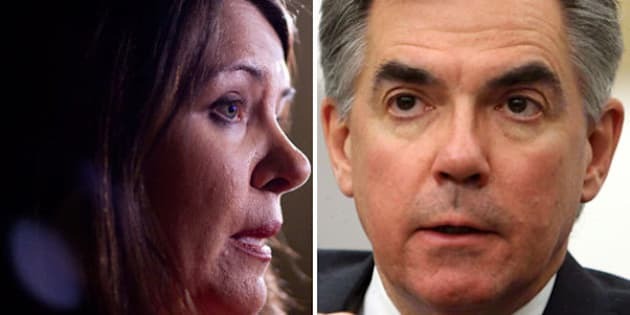 A merger could mean the beginning of the end for the Wildrose, a right-centre party that gained strength and popularity against the centrist former Tory premier Alison Redford but has been struggling to find its identity against the like-minded Prentice. The Wildrose has met hard times after it lost four byelections to Prentice on Oct. 27. The party has been dropping in popular opinion polls and Smith has criticized the mainstream media for fostering a narrative of the Wildrose as an angry and divisive party. Last month, the party was sharply criticized for refusing to adopt into policy a resolution it passed last year to pledge its support for equal rights for all minority groups, including gays. The policy refusal reignited accusations from the 2012 election campaign that the party was intolerant and anti-gay. Social media pundits speculated late into the night Monday on possible Wildrose defections. One Wildrose member, Drew Barnes of Cypress-Medicine Hat, didn't address the controversy on Twitter but wrote: "I am 100 per cent committed to the Wildrose party, our principles, members and voters of Cypress-Medicine Hat." One of the rumoured floor crossers, Shayne Saskiw, delivered the following message on Facebook: "I am committed to fighting for the constituents of Lac La Biche-St. Paul-Two Hills and to advocate for our priorities and for the needs of our communities. There is a rumour that I will be crossing the floor tomorrow. That rumour is false. "I will continue to represent my constituents and to stand up for the principles and values on which I was elected." Saskiw could not be reached for comment. Duane Bratt, a political analyst at Mount Royal University in Calgary, said he found the rumours of a merge "really bizarre." "They took down two premiers," he said of the Wildrose. "They've been the most powerful opposition we've ever seen in this province. Many of the policies that Prentice brought in, he simply adopted what Wildrose has been saying. But given the fiscal downturn in this province, I would think that would help the Wildrose party, because they're strongest on fiscal issues. I think this would have given them a lifeline after a really disastrous fall." Bratt was asked if the rumours were true, what would be the party's motivation for a merger? "If you can't beat 'em, join 'em? I've said all along that it was tough for Wildrose to criticize Jim Prentice because it wouldn't take too much of your imagination to imagine him leading the Wildrose party. He's a man who could fit in either camp. "I don't know what's driving this, whether it's that just 'we lost so badly' and an outreach offer from Jim Prentice, if it's true he's provided a letter of offer for them to come over." But he said if a merger were to take place, it might not mean the political end for some members of the Wildrose, including Smith. "You put party allegiances to the side, and if you're putting forward a cabinet of talented people, there's still some talented people on the Wildrose side. Is it a unity cabinet?" Bratt said in one way, a merger would be a sad day for democracy. "You can say what you want about Wildrose, they have been a very effective opposition party," he said. "We've actually had a competitive political situation in this province for several years. If that merger occurs, you're not going to see that sort of thing happen anymore."